My daughter loves this toothbrush so much. I used the infant attachment for her since she is 7 months old. The vibrating made brushing her teeth easier than having to try to move the toothbrush around back and forth in her mouth, the music helped keep her interested in what I was doing without making her upset, and when I was done rushing her teeth I put the hygeine cover on and let her play with it as if it was a toy--which she loves! 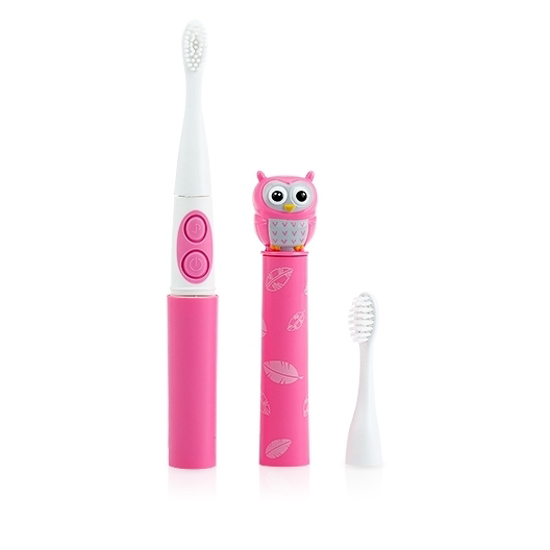 My toddlers were jealous of her new toothbrush so I will be buying two more for them! 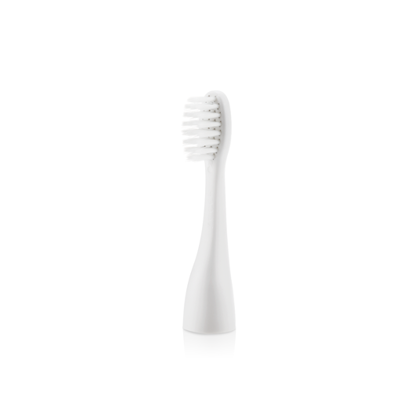 A must have first toothbrush! 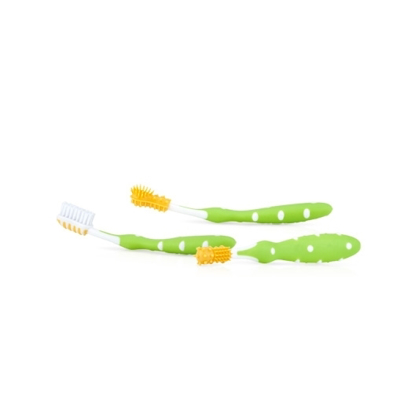 This was the perfect first toothbrush for my toddler to use when learning to brush his teeth. It's too cute! So much fun to use! 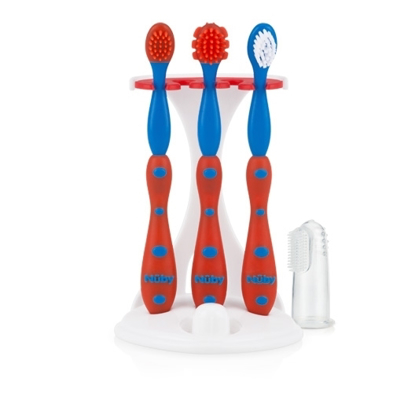 This made tooth brushing so much easier at bedtime!